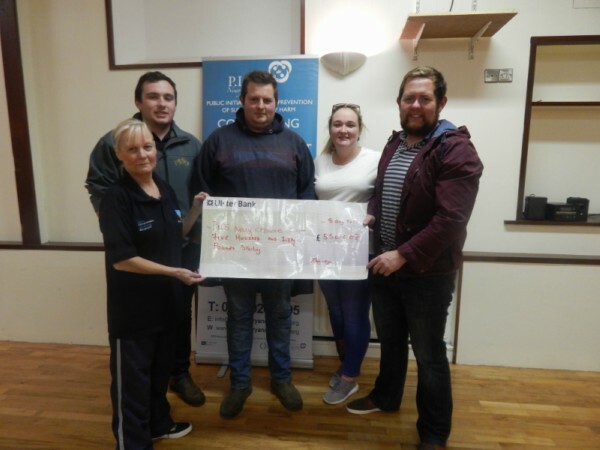 BMWR (Burren Mayobridge Warrenpoint Rostrevor) Young Farmers are pictured Marie O Hagan from PIPS Newry & Mourne with a cheque for £550.00. This generous donation was raised by the BMWR Young Farmers group hosting a Big Breakfast in Burren Social Club. PIPS Newry & Mourne would like to express sincere thanks to the Young Farmers for their time, effort and support and also like to thank anyone who supported them in any way.